Noticing Early Signs of Parkinson’s Disease? These Resources Can Help! If your senior loved one has just been diagnosed with Parkinson’s disease, you may be feeling overwhelmed and unsure where to turn next. And, you’re likely to have a number of questions that arise AFTER you leave the doctor’s office. 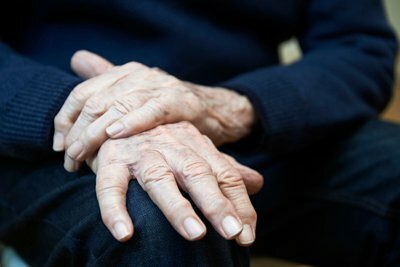 The best time to seek out resources and assistance is when the early signs of Parkinson’s disease are being noticed, and to help you begin the journey to providing the best care for your loved one, we’ve compiled the following list of some of the top Parkinson’s disease resources. Parkinson’s Disease Fact Sheet: The Family Caregiver Alliance offers an informative guide for patients and caregivers about Parkinson’s disease. 10 Signs that Your Parent Might Have Parkinson’s Disease: Caring.com offers this handy checklist to help decipher whether or not a loved one might be exhibiting symptoms of Parkinson’s disease. Parkinson’s Disease Caregiving: This site offers useful tips and tools for helping caregivers who manage or care for someone with Parkinson’s disease. Combating Depression in Parkinson’s Disease: This Parkinson’s Disease Foundation downloadable fact sheet offers strategies for handling the depression that many people living with Parkinson’s suffer. National Parkinson Foundation: This educational site on Parkinson’s disease offers a wealth of valuable information. Michael J. Fox Foundation for Parkinson’s Research: Dedicated to finding a cure for Parkinson’s disease within the decade through an aggressively funded research agenda and to ensuring the development of improved therapies for those living with Parkinson’s today, this site includes information on current research, a guide for the newly diagnosed and advice for caregivers. Parkinson’s Disease Foundation: The Parkinson’s Disease Foundation (PDF) is a leading national presence in Parkinson’s disease research, education and public advocacy. They are working for the nearly one million people in the US living with Parkinson’s by funding promising scientific research and supporting people with Parkinson’s, their families and caregivers through educational programs and support services. For more assistance in providing care for a loved one showing early signs of Parkinson’s disease, contact the California senior care professionals at Hired Hands Homecare at 866-940-4343. These links about Parkinson’s disease are really helpful. Thanks for sharing them!